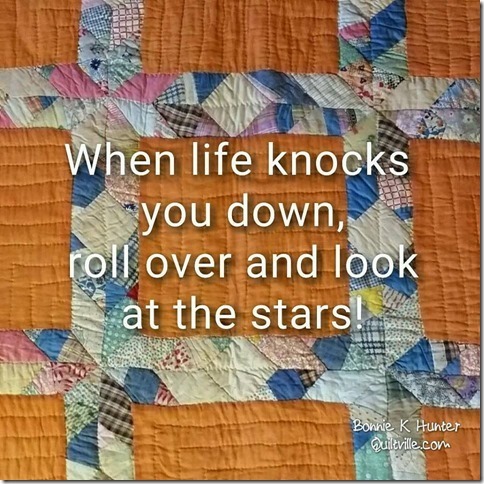 Quilts, fabric! What else is there? 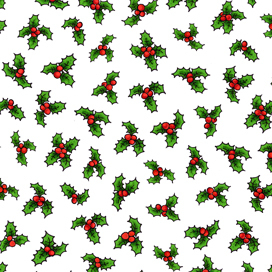 We received a shipment of Christmas fabrics yesterday. 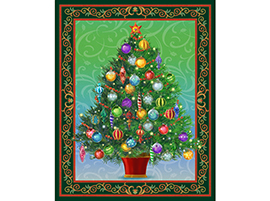 I know it is hard to think about Christmas quilts when it is 115 degrees in the shade, but now is the time to start working on Christmas quilts or other projects. Get them done, so come December you can sit back and relax. Tee hee, I know that is hard to do even if you get all your gifts before December. The holidays are just busy times. 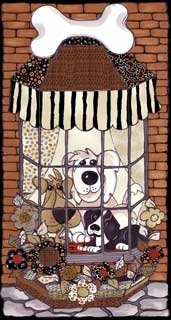 So crank up your air conditioner, get out your Christmas music and start sewing! What fun. Here is what we have this year that is new. 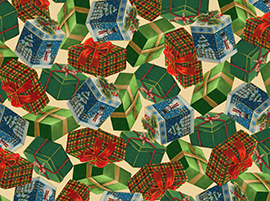 Plus we have other Christmas fabric left over from last year that is so cute, too. This is a large panel. It is about one yard wide by width of fabric (WOF). It is really pretty. This picture shows large poinsettias and bells. They are not all that big. 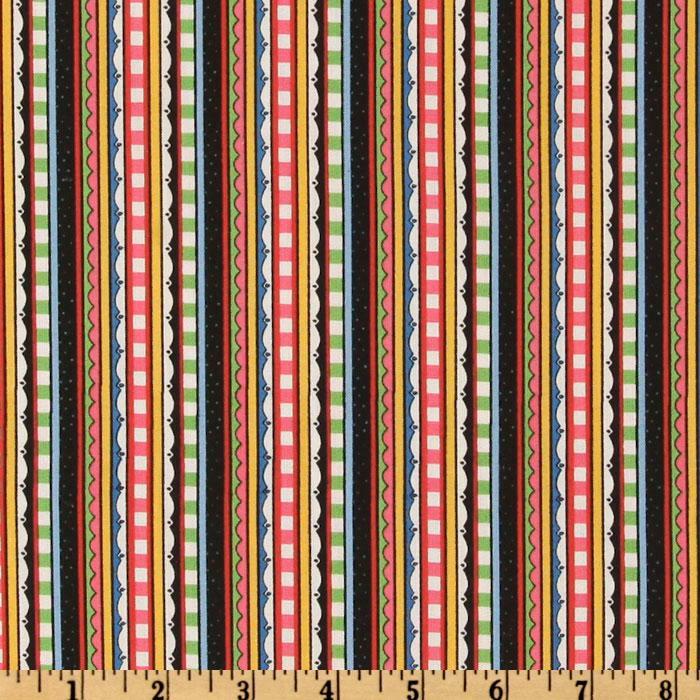 If you look on our website, you will see they are quite small, which they should be for a border fabric. Chrstmas packages. They go perfect with the Christmas Tree. 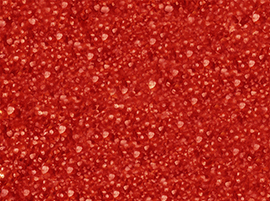 And of course a red to bring in the jolly. 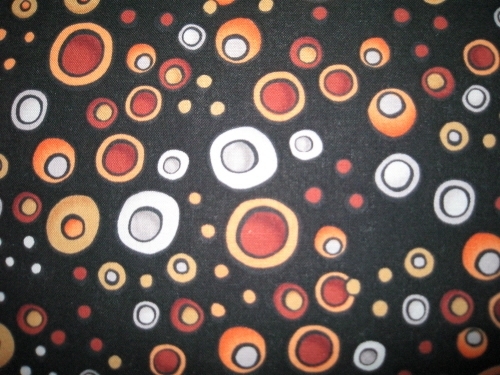 This fabric is really stunning. 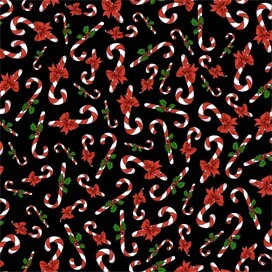 It is a black/black background with beautiful red and white candy canes. 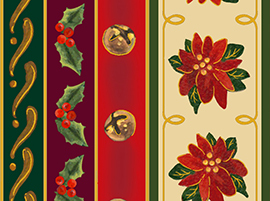 As dark as the background is for the candy canes above, this fabric is amazingly white background with beautiful two-toned greed holly leaves with red berries. These fabrics are from Quilting Treasures and VIP Exclusive, which is part of Quilting Treasures. The top ones are called Christmas Eve and is designed by Liz Dillon. 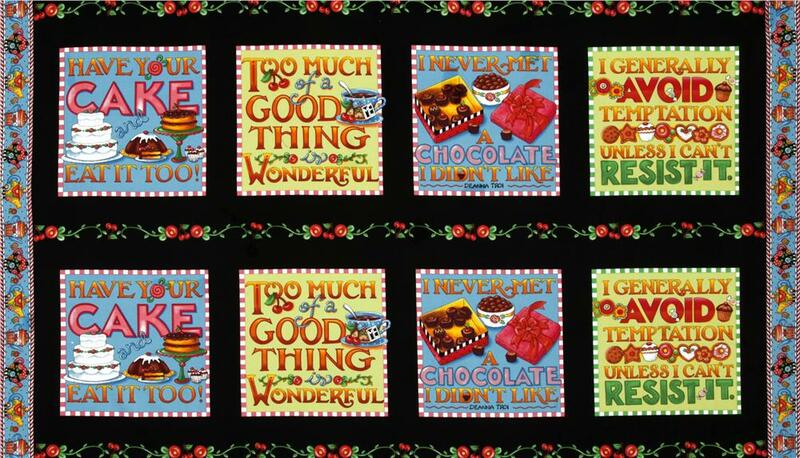 The two bottom ones are from Quilting Treasures and are called Very Fairy Christmas. Renea A is the first to turn in her block this month. Good job, Renea. I love this block. I could see a whole quilt with this block alone. Can you imagine a red white and blue one? Beautiful. Thanks, Renea. You are now entered into the drawing for the incentive kit for July. Here is a picture of the Wildflower Rhapsody July block for our BOM. They were all mailed on Saturday, July 3rd. So watch your mailbox for yours. If you are not a member of this BOM, we still have two slots for people that might be interested. 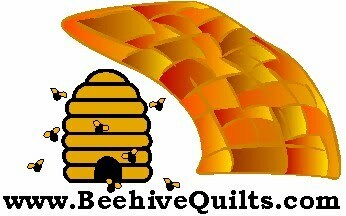 Just contact me at contact@BeehiveQuilts.com for information. 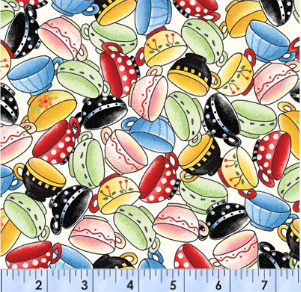 Fabric designed by Loralie Designs, who always has a cute whimsical look about it. Just see that we receive your picture no later than July 31, 2011 to be entered into this drawing. If you cannot send it via e-mail, you can snail-mail it to me at PO Box 484 Carmichael CA 95609-0484. ﻿The kit includes the panel and the fabric above, plus a simple gray fabric for sashing. It makes into a cute wall hanging. I made one and once it is quilted I will post it to this blog. Hopefully I will get that done before the end of the July. Congratulations to Betty Wallace. 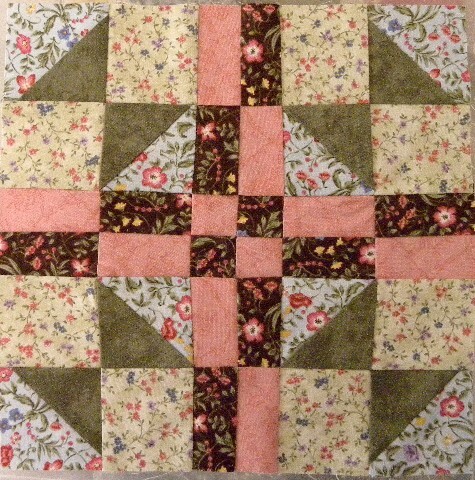 She is the winner of the incentive prize for sending in a picture of her June block, which was beautiful by the way. A gift to my daughter. The following links are places I have gone to and found informative and interesting. Check them out.